In the first post of the case study series highlighting the work of the Megafone project, Rising Voices interviewed its founder, Antoni Abad, who described some of the various project sites around the world, as well as his motivation. This post will feature selected content created by the project participants using mobile phone cameras to capture images of the world around them. The Megafone website is organized into “channels” that collect the content related to similar subjects. There are also tags that help the reader find specific content according to keyword. In many of the cases, there are often audio podcast recordings that accompany the photographs where the participants provide more background information about the image. This project based in São Paulo, Brazil works with motorcycle delivery men and women, who often work in dangerous conditions. They use mobile phones to capture images throughout their work day and post the information in real-time. 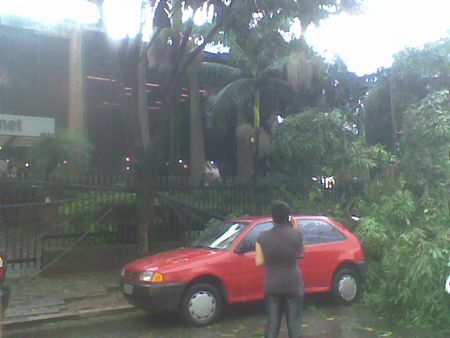 In the Environmental channel, several Motoboys captured footage of the effects of the heavy rains had on certain neighborhoods of São Paulo in January 2011. Here, Andrea shot a photo of how trees and power lines fell due to the strong rainfall, almost resulting in extensive damage to a parked car. 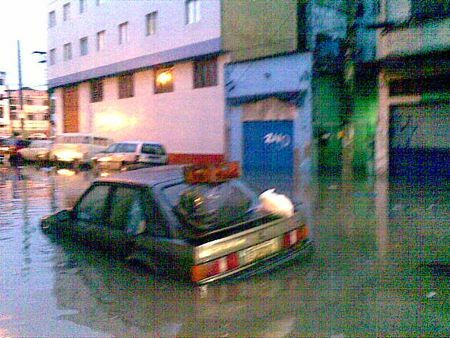 Ronaldo also shot a photo of street flooding and there are also accompanying audio podcasts [pt] where he describes what he is witnessing. This project took place in Mexico City featuring the works of taxi drivers around the city who used mobile phones to capture images of taxi stands, portraits of city residents, and of various repair jobs on their taxis. 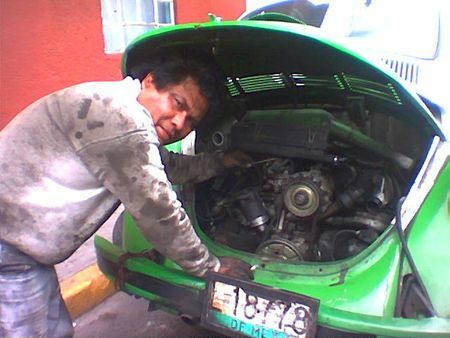 In this photo, Hector Morales, who has been working as a taxi driver for the past 14 years, makes some repairs on his Volkswagen taxi. There are also channels devoted to each of the taxi driver participants of the megafone project, including the content created by Marcos, Pedro, and a female taxi driver Rosa Maria. Female taxi drivers are not very commonly seen on city streets. This project features the experiences of Nicaraguan immigrants living in the neighboring country of Costa Rica. Participants use their mobile phones to capture images to show the reality of life as an immigrant. 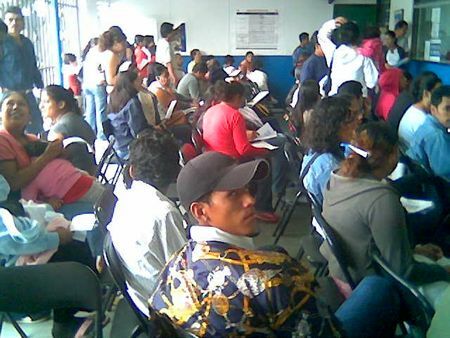 For example the “Papeles” (or legal documents) channel, there are photos of the long lines outside the Nicaraguan consulate, where nationals attempt to apply for a passport so that they can return home to see their families. In addition to the photos, there are also some audio podcasts where the participants describe the scene taking place behind each photo. Other channels featured in this project include Health, Community Associations, and Housing. Here participants show examples of how some Nicaraguan immigrants live on the outskirts of the Costa Rican capital. 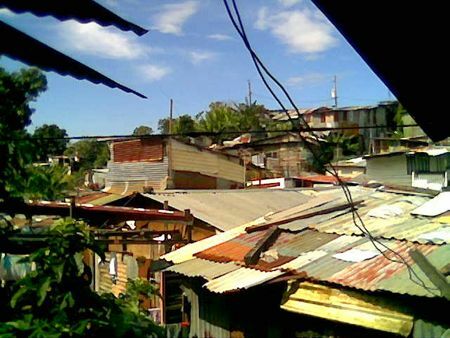 Esta es una vista panorámica del precario de la Cuenca Norte de Guarari de Heredia, en el cual yo vivo, en este precario existe una Asociaciòn Pro-vivienda con el fin de buscar los canales para poder proporcionar a cada una de las familias que aqui viven una vivienda digna. Cabe mencionar que en este precario hay familias nicas y ticas. Juntos podremos lograr la meta. This is a panoramic view of the unstable North Guarari Basin in Heredia, which is where I live, and in this area there is a Pro-Housing Association that seeks to find ways to provide dignified housing to each of the families that live here. It is worth mentioning that in this area there are Nicaraguan and Costa Rican families. Together we can achieve the goal. Other channels in the Megafone project includes the Blind View in Barcelona, Western Saharan refugees in Algeria, and Displaced Colombians channels. All photos used with permission by the Megafone project.